Wolfenstein: The Old Blood: Sind Sie Ein Frankfurter, Blazkowicz? The days of the expansion pack have long since left us, replaced by it’s bite sized cousin downloadable content. For many this is a better way of doing it as it allows players to revisit games on a semi-regular basis to enjoy the additional couple hours of game play. This gamer however pines for the good old days when expansion packs were usually good enough to be classed as new games on their own, providing a whole new experience in the same world. 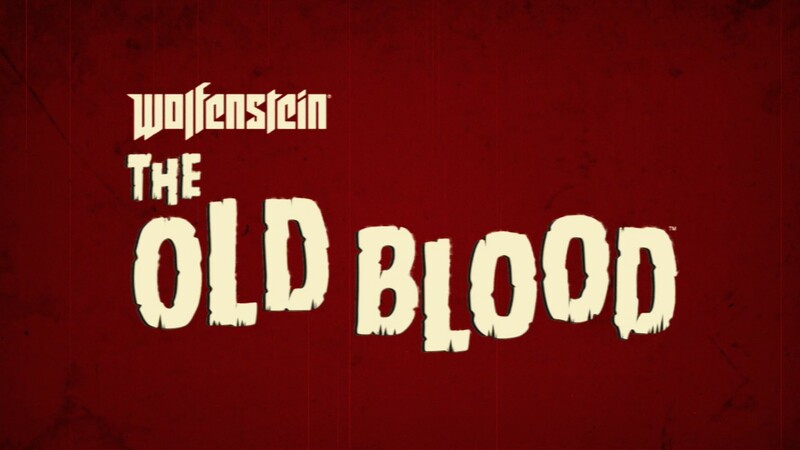 From time to time though some games still follow this old format and Wolfenstein: The Old Blood is one such title, detailing the story of William “B.J.” Blazkowicz before he set out on the events detailed in Wolfenstein: The New Order. The war against the Nazis is being lost with the allied forces being pushed back on nearly every front. 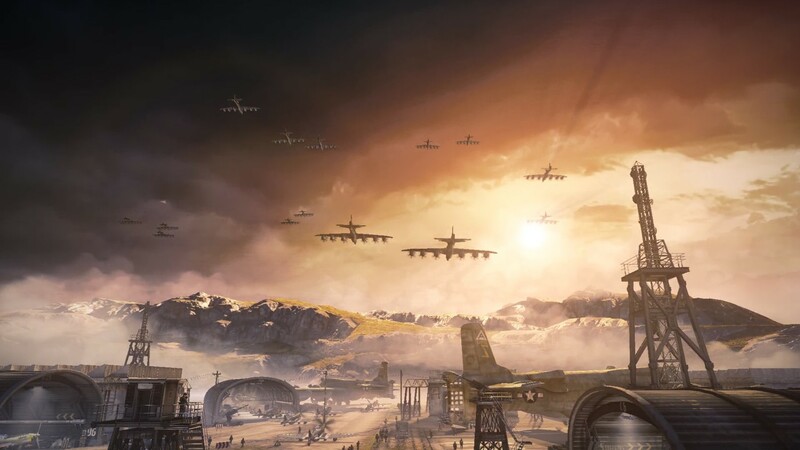 Their rapid technological progress being driven by one of their top scientists, General Wilhelm “Deathshead” Strasse, is most likely the cause of this however his location has proven to be elusive. 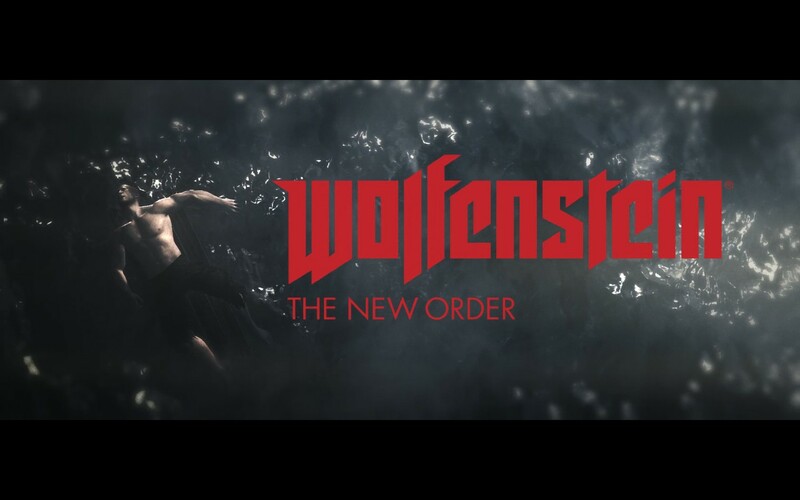 It is up to you then, playing as Blazkowicz, to infiltrate a Nazi stronghold and find a folder belonging to Helga Von Schabbs which has his location. However your infiltration quickly goes awry and you find yourself in the belly of the beast, armed with nothing more than a pipe and your sharp wit. Whether that will be enough for you to complete your objective, however, is up to you. As you’d expect of a game that has come out barely a year after its predecessor The Old Blood retains the same level of graphical excellence which was only magnified by immense power that my new rig was able to throw at it. 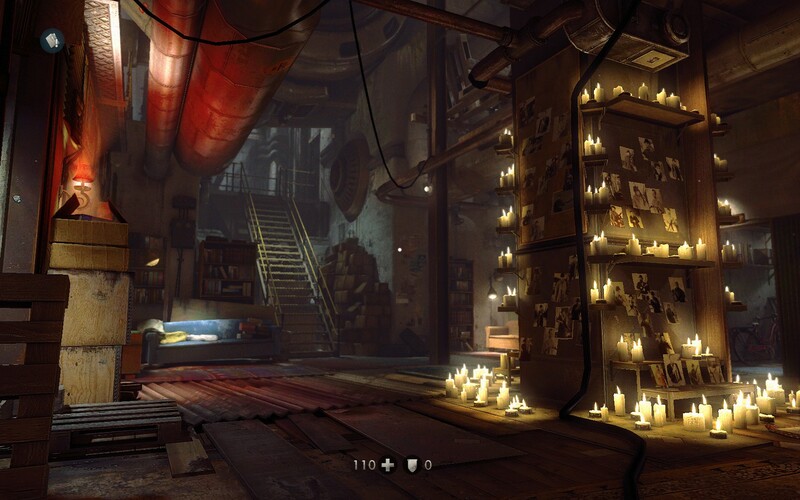 Strangely enough some of the performance issues I had experienced previously, like the significant drop in performance in the more open sections, were still present which leads me to think that the id Tech 5 engine potentially has some issues with larger scenes. Still it was eminently playable, especially in the indoor sections where split section reaction times and seat-of-the-pants gameplay were a common occurrence. The colour palette and scenery may give it the same feeling as many previous generation games but it’s anything but, especially when you take a few moments to look around. 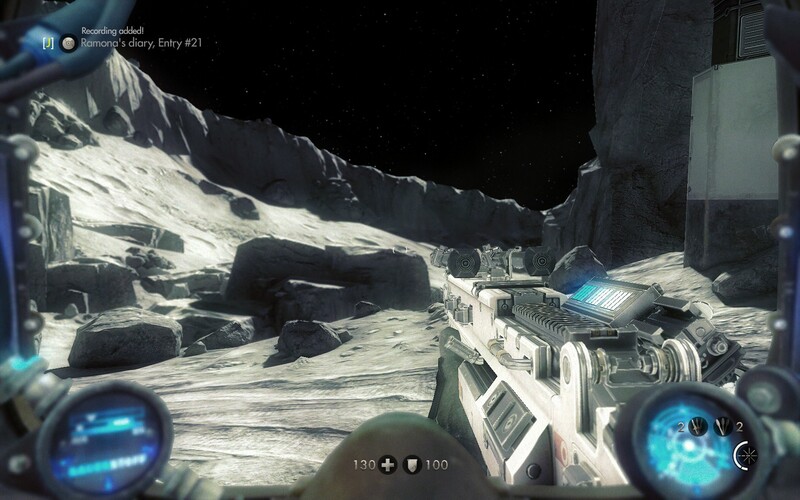 The core of what The New Order great remains in The Old Blood although the experience has been streamlined due to the game’s reduced length. At its heart The Old Blood is still a corridor shooter, one that incorporates the old traditions of hiding secret areas whilst blending in a few RPG elements to give you an edge over your enemies. The wide and varied arsenal makes a return, allowing you to select from a whole host of silly weapons to mow down any enemy that’s put in front of you. The modifications to these guns however is greatly reduced, usually amounting to one setting you can change rather than the The New Order’s rather bountiful mod system. The levelling system has also been slimmed down considerably with only a handful of options available to you although the completion mechanic remains. The stealth is back and, thankfully, feels a lot more fair than its predecessor’s did even if it still gets taken away from you every so often. 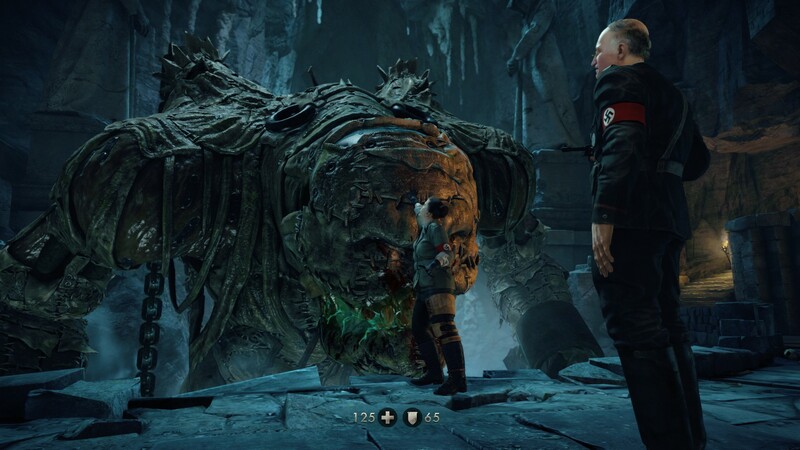 Overall The Old Blood feels like a more streamlined version of the The New Order with all the benefits and pitfalls that come with it. The combat retains the highly polished, fast paced nature that we’ve all come to expect from AAA corridor shooters like this. 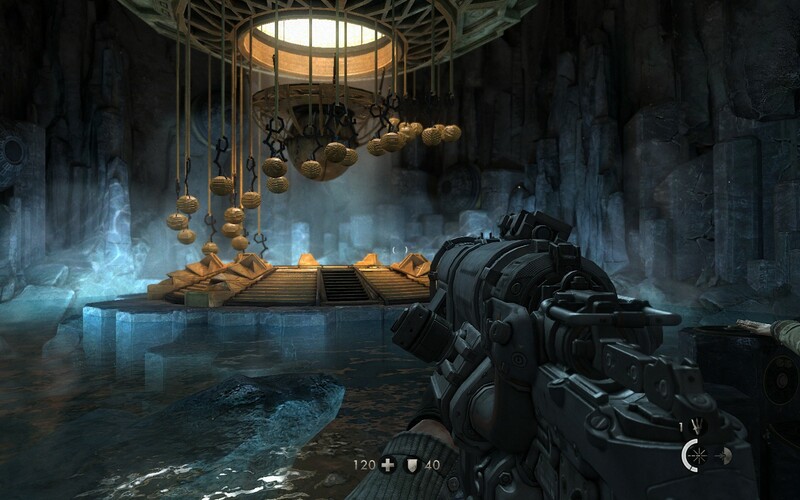 For those seeking a challenge though you’re likely to be disappointed as even on the second hardest difficulty most enemies are pretty easy to take on, with some of them even missing point blank shots. The increased difficulty seems to come from them doing a whole bunch more damage when they do eventually land a shot or get a melee hit off on you, something which can be rather irritating when later enemies get the ability to one hit kill you. These are all things that can be overcome with a little strategy (and of course levelling the various perks) however for a game that wants to emulate its FPS ancestors putting the training wheels on the difficulty seems somewhat counter-intuitive, even if it would make for a better game for the less experienced players out there. The stealth system feels largely the same with you being able to take the majority of enemies silently if you time everything correctly. There have definitely been some improvements in this regard as it’s quite possible to skip massive areas if you pull the stealth off correctly. Unfortunately the poorly implemented detection mechanism is still there meaning that if you trigger one guard you’ll trigger the lot of them, including the captains if any of them happen to be around. This can often lead to a panicked sprint to find the commanders before they can bring in wave after wave of additional enemies for you take out. 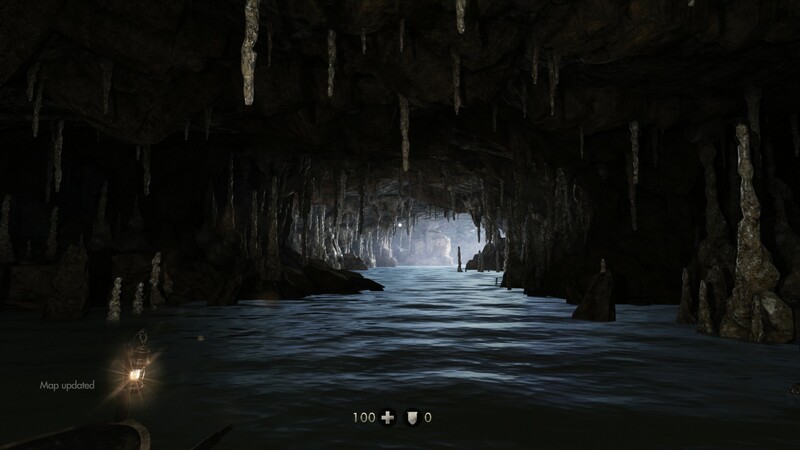 Still the times when this happens are more than made up for with the sections that let you skip huge areas of combat if you’re patient and attentive which I feel is the key to making stealth sections rewarding. The cut down talent system works well since there’s really not enough game time in The Old Blood to justify a talent system as deep as the one that was in The New Order. Some of the challenges either require you to die a few times over to complete (like the silent commander kill one) or you’ll need perfect execution to unlock them if you manage to do everything on a single life, which is quite doable in my opinion. However the majority of them are readily achievable with a little bit of planning and careful execution. The benefits you gain from them are mild at best and you could likely blast through the entire game without unlocking one and not feel like you’re struggling. I guess that’s somewhat the point, putting more of an emphasis on player skill, however I like upgrades to be impactful, turning a meek player into a god to be feared. That’s just this writer’s opinion, though. The year of patches and fixes for The New Order have trickled their way down to The Old Blood meaning that issues like texture pop-in are pretty much gone although the performance hit in outdoor areas is still noticeable. One thing I did notice is that in some indoor scenes, particularly during cutscenes, the game would actually remove objects that were deemed “out of sight” of the player, even if say a corner or edge was still mostly visible. This leads to a rather jarring pop-in of objects (not textures) in some scenes as characters move about the scene. It can highlight areas of interest although I believe that aspect of it is wholly unintended. Overall it seems that the id Tech 5 engine is starting to mature nicely after 4 years of use by id and hopefully many of these improvements find their way into the upcoming id Tech 6 engine. 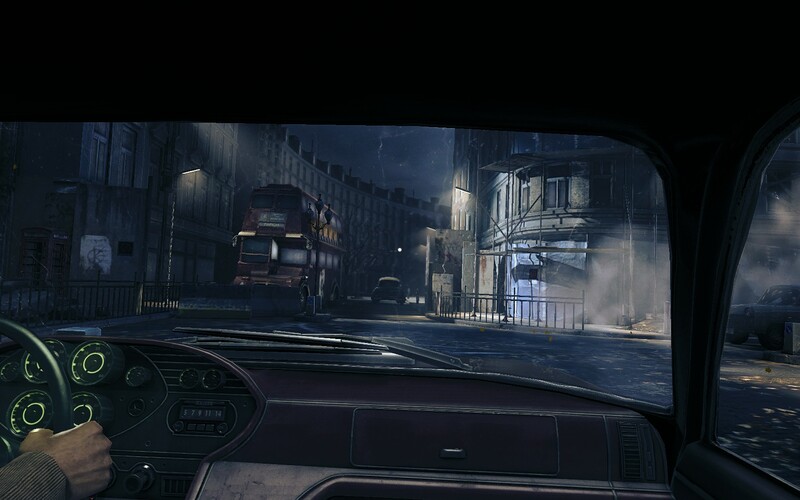 The Old Blood retains similar stylings to its predecessor with the inner monologue of Blazkowicz driving much of it with the rest hidden in notes scattered everywhere. You won’t be seeing many familiar faces in this game so it’s not like this game is seeking to flesh out the back story of anyone but the main protagonist. Still most of the characters are given enough screen time to flesh their characters out to a basic level although rarely to they expand more upon that. I think this primarily stems from the fact that pretty much every character in The Old Blood doesn’t make an appearance in the The New Order and, given the game’s length, there’s really not much time to flesh out anyone in earnest. Still it’s above average when it comes to the corridor shooter genre, even if that really isn’t saying much. 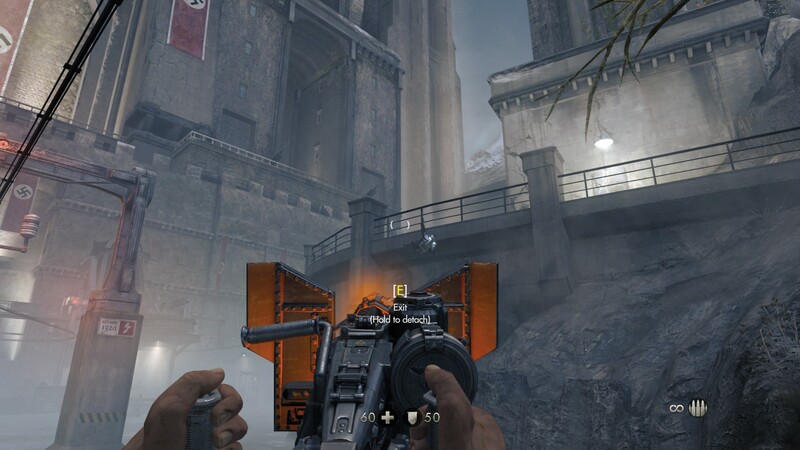 Wolfenstein: The Old Blood is a worthy successor to The New Order, taking the essence of what made that game great and streamlining it into a shorter experience. Whilst many will be pining for a much longer and deeper experience, this writer included, it’s hard to deny that the experience (while it lasts) is of the same calibre as its predecessor. This does mean a few of the less desirable quirks remain but this is counterbalanced by the ones that were fixed. Suffice to say if you were hungering for more of the new style of Wolfenstein games then you won’t go wrong with The Old Blood, even if you may be left wanting for more when the final credit screen rolls around. Wolfenstein: The Old Blood is available on PC, XboxOne and PlayStation 4 right now for $39.99 on all platforms. Game was played on the PC with 5 hours of total play time and 35% of the achievements unlocked.